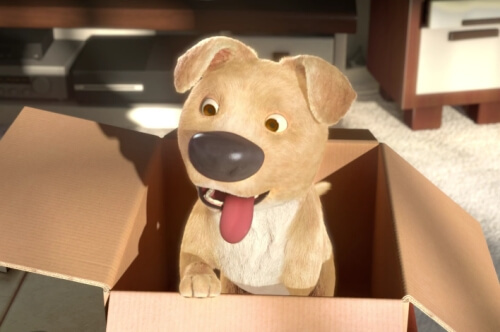 ‘The Present’ is an award-winning animated short about a boy and his dog based on a comic strip by Fabio Coala, and directed by Jacob Frey. The boy doesn’t seem interested in anything but playing video games until a cute new dog enters his life. In a sad twist, the dog only has three legs and the boy rejects the new puppy and returns to his own world on the coach with his TV. Will the the two warm up to each other? Find out!